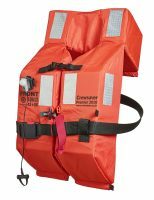 Since its introduction in July 2010, the Crewsaver Premier 2010 lifejacket has led the way in passenger and crew lifejacket safety. 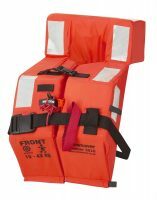 The first lifejacket to be approved to ISO 200(80), the Premier 2010 has since gone on to be the choice of both the largest Cruise ships and some of the most discerning superyachts and commercial vessels worldwide. With a design brief that stipulated ease and intuitive donning, mirroring the hugely successful original Premier (over 750,000 units sold), the Premier 2010 uses a patented “Reverse Angle Head Support” to achieve the vital in-water performance that the regulations require. The unique design of the neck opening allows for increased wearer comfort, while durability is assured by the use of tried and tested quality components. 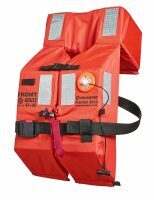 The Crewsaver industrial and commercial range has been developed over many years using only the most advanced fabrics and manufacturing processes. Continuous stringent research and development within the industry has seen Crewsaver products in use worldwide in a diverse range of commercial sectors and institutions. 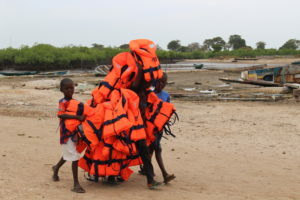 Designed to perform in the most arduous environments, Crewsaver has developed a range that suits all your safety needs. 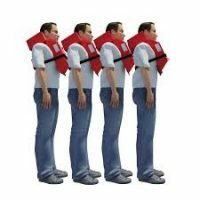 The Premier 2010 lifejacket has a patented design Neck System that adjusts to the wearer’s neck size, allowing it to be worn by anyone from 43kg up to 140kg + while still maintaining correct face angles and mouth clearance above the water. The patented Reverse Angle Head Support holds the head at the optimum position for maximum in-water performance even if the wearer becomes unconscious. 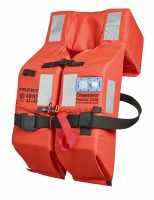 Partager la publication "CREWSAVER Premier 2010 lifejacket SOLAS 150N"